Have you ever dreamed of living in a Taco Bell? If so, you have really strange dreams. And we have really great news: On October 17th, you and three friends can celebrate the launch of the new Steak Doubledilla by spending the night at Taco Bell playing games, watching TV, and of course, eating plenty of Steak Doubledillas. Why take a Staycation when you can take a SteakCation? Our Taco Bell location in Chatham, Ontario will be outfitted with two sets of bunk beds, some comfy chairs, and a big screen TV. Not only will you dine on Steak Doubledillas — with twice the tender, marinated steak and creamy jalapeño sauce in a cheesy quesadilla — we’ll also have video games, movies, and lots of other stuff to keep you entertained. Plus, our Taco Bell Butler will be there to make sure you’ve got everything you need. Experience Steak Doubledilla decadence at our Taco Bell Airbnb SteakCation. •	If sharing salsa, no double dipping your chips. •	Eating Steak Doubledillas in bed is not only allowed, but encouraged. •	Making that squeaking sound with your straw and cup lid is annoying. Quit it. •	Don’t feed the Taco Bell Butler. Wait, that’s not very nice. We’ll leave that up to you. Sponsors.  The Sponsors of this "Night At: Taco Bell Canada's SteakCation Contest (“Contest”) are Airbnb, Inc., 888 Brannan Street, San Francisco, CA, and TB Canada Company, 191 Creditview Road, Suite 100, Vaughan, Ontario, L4L 9T1 (collectively, “Sponsors”). Eligibility. The Contest is open to legal residents of Canada, excluding Quebec residents, who are age 18 or older. This means that you are not allowed to participate if you reside outside of Canada or within Quebec. Directors, officers, employees, independent contractors and agents of Sponsors, or their subsidiaries or affiliates (collectively, the “Contest Entities”), and the members of their immediate families or households, are not eligible. How to Enter. Participants who have reached the age of 18 at the time of participation, may enter the Contest from Monday October 3, 2016 at 7 AM EDT until Monday, October 11 at 11:59 AM EDT by following the process below. Submissions must be received through the below process by the close of the Contest to be eligible. Sign in with an Airbnb account. If you are not already an Airbnb user, you must also complete the registration process to create an Airbnb user account. This process is free. In the form provided, write your story addressing the question above in at least 50 characters but no more than 550 characters (the “Submission”). Limit of one (1) entry per individual entrant during the Contest. Submission Requirements. The submission must be in English and be entrant’s original work, not previously submitted in any other contest, promotion or competition or otherwise have been publicly displayed. The Submission must be sent from the email account associated with the entrant’s Airbnb account to be verified and reviewed. Each participant may only participate once. Airbnb is not responsible for computer or network problems, problems with servers, problems with email accounts or the failure to receive any Submission for any reason whatsoever. By entering the Contest, each entrant agrees, on his/her behalf and, if applicable, on behalf of any guest (who must also be registered Airbnb users) that would participate in the Prize (see below) if the entrant were to be a winner of a Prize (“Guest”), that Sponsors may contact such entrants and Guest(s) in relation to the Contest and as further detailed below, entrant and Guest(s) agree to take part in any publicity that occurs as a result of the Contest and grant Sponsors and their agents the right to use and/or identify their name, image, likeness and/or town/country of residence in any such publicity. Prohibited Content. Submissions/content must not violate the rights of any other party, including but not limited to intellectual property rights or rights of privacy, publicity or other moral rights. Submissions must NOT contain or consist of: (a) advertising or commercial content for any party other than Sponsors; (b) content that endorses/promotes illegal or harmful activity; (c) violent, profane, vulgar, obscene, defamatory or otherwise objectionable material; (d) adult material; or (e) defamatory content. The Sponsors reserve the right to disqualify any participant who violates these prohibitions or any other provision of these Official Rules, or that could damage the reputation or business of Sponsors, as determined by the Sponsors, in their sole discretion. You represent and warrant that your submission/content does not make unauthorized use of, or violate, any rights of any third party, and that, if necessary, you can provide proper permissions in a form acceptable to the Sponsors. License. By submitting a Submission, participants grant Sponsors a perpetual (or for the term of the protection granted by the relevant intellectual property rights), worldwide, irrevocable, royalty-free license to transform, edit, modify, reproduce, distribute, transmit, publish, broadcast, perform, display, or otherwise use the Submission, in whole or in part, with or without modifications, in any form or medium (including but not limited to: internet, any printed medium distributed via press, billposting, point of sale advertising, flyers, leaflet, etc. ), whether now existing or later developed, for entertainment, promotional and/or advertising purposes and/or any other purpose. To the greatest extent permitted by law, entrants agree not to invoke any so-called moral rights in relation to their Submissions (including, without limitation, the right to be identified as the creator of the work and the right to object to derogatory treatment of the work). For the avoidance of doubt, the license referred to in this paragraph is a fully paid-up license. By entering you agree to confirm in writing the license grant referred to in this paragraph as a condition of being selected as a winner. By entering, you guarantee that your entry is original as referred to above, and that you have all necessary rights to provide the entry and to grant to Sponsors the rights set out in these Official Rules, as well as the consent of any person that may be identified, depicted or referred to in the entry. You will indemnify and hold Sponsors harmless for any breach of these provisions. Only the winner will receive a prize according to the next paragraph: ‘Prize’. A one-night stay for four (4) persons at The Taco Bell restaurant located at 328 St-Clair Street, Chatham, Ontario, Canada (the “Taco Bell Restaurant”), which stay will include: a private dinner and snacks for four at the Taco Bell Restaurant, gaming and entertainment for four at the Taco Bell Restaurant, a private Taco Bell Butler to guide the winner and Guests’ experience at the Taco Bell Restaurant, and a continental-style breakfast the next morning. Round trip coach air transportation for winner and Guests between one (1) major airport near the winner’s residence in Canada (as selected by Sponsors) and Chatham, Ontario. The opportunity for winner and Guests to participate in any public live-streaming broadcast of the event and in any other promotional recordings and materials that may arise in connection with the event, e.g. online promotional video, social media content, etc. Approximate retail value of the Prize is $5000. Actual value may vary based on winner’s home location and dates of travel. Any difference between advertised and actual value will not be awarded. If winner lives within 400 kilometers of Chatham, Ontario ground transportation may be provided in lieu of air travel, at the discretion of the contest sponsor. The Prize does not include: airport transfers to/from Chatham, Ontario or to/from winner/Guests’ home, any meals (not described above), as well as any other expenses not detailed above. Winner must be available to travel to Chatham, Ontario on dates specified by Sponsors. Winner and Guests must possess all documents necessary for air travel, and must travel on the same itinerary, where applicable. Guests must be at least 18 years of age. If a winner declines to accept Prize, Prize will be forfeited and may be or may not be awarded to an alternate winner. The Prize may not be redeemed for cash. If the advertised Prize becomes unavailable, Sponsors reserve the right to award, as substitute, any prize of equal or higher value. Originality of the answer: Does it surprise and delight us? Spirit of the answer: Does it clearly demonstrate to us why do you want to take a SteakCation, and more particularly, why you think it would be awesome to spend the night at a Taco Bell”? Notification/Announcement of Winner. The winner will be selected on or about October 11th. Within 24 hours of selection, winner will be notified by phone and via the Airbnb message center. Winner must confirm their acceptance of the Prize in writing within 48 hours of such notification. The Sponsors reserve the right to disqualify any winner who does not confirm acceptance of the Prize in accordance with these Official Rules, and reserve the right to select an alternate winner in such event. In the event of a dispute about the identity of a winner, the Sponsors will award the prize to the authorized account holder of the Airbnb account from which the winning entry was sent. The Sponsors may publicly announce the name of the winner within 30 days of the close of the Contest, including through Sponsors’ official social media channels. Prize Conditions. Save as may be required by any applicable mandatory laws, the Prize is provided AS-IS with no express or implied warranty or guarantee. Sponsors may require the winner, and where applicable, each Guest, to sign and return an affidavit of eligibility, and a liability release / participation terms / publicity release that: (a) in a manner consistent with these Official Rules releases Sponsors from any liability in connection with winner and Guest(s) participation in the Contest and Prize; and (b) indicates agreement of winner / Guest that Sponsors may: (i) use for any promotional purposes of the Sponsors the name, city of residence and likeness of the winner / Guest; (ii) feature winner / Guest in a public live-stream broadcast of the winner / Guest stay in real-time or otherwise (subject to individual participant opt-out); (iii) feature the winner / Guests in a post-promotion video available to the public (subject to individual participant opt-out); and (iv) publish the winner’s Submission in any promotional materials of the Sponsors where permitted by law and subject to applicable rules. To the extent permitted by applicable law, refusal or inability to sign and return such forms within 72 hours of receipt may result in disqualification and awarding of Prize to an alternate winner. The winner and Guests shall strictly abide by any rules and procedures set forth by Sponsors in connection with the Prize. Engaging in any inappropriate or illegal conduct during any prize-related activity may result in removal from the premises where the event is occurring. Airbnb may conduct a background check on the winner and each Guest to confirm eligibility, compliance with these rules and/or fitness as Prize recipients. By entering, you agree to cooperate reasonably with any such background checks. Failure to cooperate may result in disqualification and selection of an alternate winner. If a background check reveals that a potential winner or Guest has engaged in conduct that could damage the reputation or business of Sponsors, as determined by the Sponsors in their sole discretion, the winner and/or Guest may be disqualified from participation in the Contest and, in the case of the winner, the Prize may be or may not be awarded to an alternate winner. Liability Release. THE CONTEST SPONSORS ACCEPT NO RESPONSIBILITY FOR LOSS, DAMAGE OR CLAIMS CAUSED BY THE AWARDED PRIZES OR THE CONTEST ITSELF. BY ENTERING THE CONTEST, ALL ENTRANTS FOREVER RELEASE AND HOLD HARMLESS THE CONTEST ENTITIES AND THEIR EMPLOYEES, OFFICERS AND DIRECTORS FROM ANY AND ALL LIABILITY FOR ANY INJURIES, LOSS, DEATH, OR DAMAGE OF ANY KIND ARISING FROM OR IN CONNECTION WITH THE CONTEST OR ANY PRIZE WON, SUBJECT TO APPLICABLE LAW. WITHOUT LIMITING THE RELEASE OF LIABILITY PROVISIONS HEREIN, AND FOR GREATER CERTAINTY, THE CONTEST ENTITIES WILL NOT BE LIABLE FOR: A) ANY INCORRECT OR INACCURATE INFORMATION, WHETHER CAUSED BY CONTEST WEBSITE USERS OR BY ANY EQUIPMENT OR PROGRAMMING ASSOCIATED WITH OR UTILIZED IN THE CONTEST OR BY ANY TECHNICAL OR HUMAN ERROR WHICH MAY OCCUR IN THE PROCESSING OF ENTRIES IN THE CONTEST; B) ANY ERROR, OMISSION, INTERRUPTION, DELETION, DEFECTOR DELAY IN OPERATION OF THE CONTEST WEBSITE OR ANY TRANSMISSION IN CONNECTION WITH THE CONTEST; C) ANY COMMUNICATIONS LINE FAILURE, THEFT, DESTRUCTION OR UNAUTHORIZED ACCESS TO, OR ALTERATION OF, ENTRIES; D) ANY PROBLEMS WITH, OR TECHNICAL MALFUNCTION OF, ANY TELEPHONE NETWORK OR LINES, COMPUTER ON-LINE SYSTEMS, SERVERS OR PROVIDERS, COMPUTER EQUIPMENT, SOFTWARE, OR FAILURE OF EMAIL WHICH MAY OCCUR FOR ANY REASON WHATSOEVER, INCLUDING TECHNICAL PROBLEMS OR TRAFFIC CONGESTION ON THE INTERNET OR AT ANY WEBSITE OR COMBINATION THEREOF; OR E) ANY INJURY OR DAMAGE TO ENTRANTS’ OR TO ANY OTHER PERSON'S COMPUTER RELATED TO OR RESULTING FROM PARTICIPATING OR DOWNLOADING MATERIALS IN THIS CONTEST, ALL SUBJECT TO APPLICABLE LAW. ENTRANT AGREES TO CONFIRM ALL OF THE FOREGOING IN WRITING UPON REQUEST AS A PRIOR CONDITION TO RECEIVING ANY PRIZE. Interpretation and Disputes. Entrants agree to be bound by these Official Rules and all decisions of the judges, which are final and binding. The Contest and these Official Rules and any disputes pertaining thereto shall be governed by the laws of Ontario, and shall be resolved in the courts of Toronto, Ontario. Miscellaneous. The Contest is void where prohibited. If any provision or part-provision of these Official Rules is held by a court of competent jurisdiction to be invalid, illegal or unenforceable, it shall be deemed modified to the minimum extent necessary to make it valid, legal and enforceable. If such modification is not possible, the relevant provision or part-provision shall be deemed deleted. Any modification to or deletion of a provision or part-provision under this clause shall not affect the validity and enforceability of the rest of these Official Rules. To the extent permitted by applicable law, the Sponsors may suspend, modify or terminate the Contest if they believe, in their sole discretion, that malfunction, error, disruption or damage is impairing or will impair the administration, security, fairness, integrity or proper conduct of the Contest, in which case the Prize will be awarded among the eligible entries received that were unaffected by the problem, if possible. Taco Bell Canada is all about Living Más. Doing more. Expecting more. Giving more. It’s about living life and getting a little more out of every day. That’s the spirit that drove Glen Bell when he started Taco Bell in 1962, and that’s the spirit that lives at the heart of the SteakCation. We’re passionate about creating great food and experiences that help people get a little more out of their day (and night).